Homer George Pendleton, 88, of Ford City, died Friday, March 29, 2019, in ACMH Hospital. He was born in Ford City on May 17,1930, the sixth of 14 children to Randle and Georgia Pendleton. He attended the public schools of Ford City. After a brief employment with PPG as a crane operator, he enlisted in the U.S. Air Force in 1952. 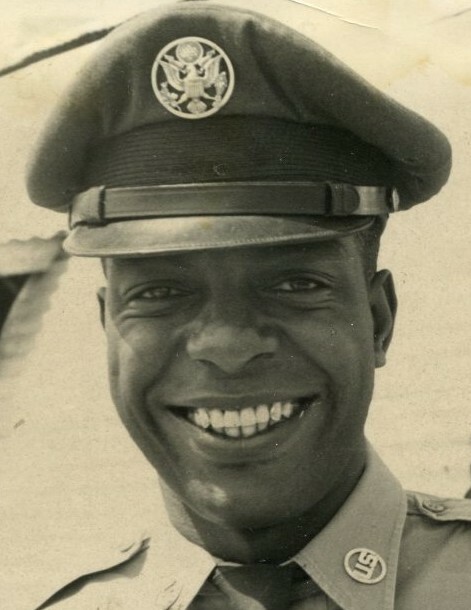 He served in the Korean War and was honorably discharged in October 1954. Upon returning to Ford City, Homer resumed his job at PPG until company downsizing led to his loss of employment in 1969. He then took a job with Mellon Bank, in the trust department as a computer programmer. In 1973, Homer took his computer expertise to Blue Cross Blue Shield, where he worked until his retirement in 1991. In 1962, Homer became one of the founding members of the Ford City chapter of the NAACP, and was recognized by his chapter for lifetime achievement. He served as the group’s president for nearly 20 years. In 1967, he received PPG’s prestigious Armstrong County Outstanding Citizen award. As a member of the Second Baptist Church, he served as chairman of the Board of Trustees, chairman of the Building Committee and a member of the choir. During this time, Homer also volunteered as the driver for the Community Food Share, driving to Beaver County one Saturday each month for eight years. In 1976, he became the first black citizen of Ford City to be elected to the Ford City borough council. In office since 1976, he has served as council president twice and has contributed to the Community Action Agency of Armstrong County, the Area Agency on the Aging and the Mid-County Transit Authority. Homer was the founder of the borough’s annual “Picnic in the Park” and was on the Heritage Days Committee since its beginning in 1981. Homer also found the time to volunteer as a Pony League Baseball coach and developed educational and recreational programs for young people. He was also inducted into the Ford City Hall of Fame. He is survived by his wife, Ruth (Petty) Pendleton; his son, Christopher Pendleton of Ford City, his granddaughter, Syann Isabel Pendleton; siblings, Vivian Pendleton of Ford City, Rita (Edward) Davis of Penn Hills, William Pendleton of Pittsburgh, Toni K. Pendleton of Pittsburgh, Blaine (Terri) Pendleton of Pittsburgh, and Georgia M. Pendleton Williams of Pittsburgh; and a host of nieces, nephews, and cousins. He was preceded in death by his parents; sisters, Lula Robertson, Ida Pendleton, Annie Pendleton, and Carrie King; brothers, Randle, James, and Lorenza Pendleton; a sister-in-law, Ruth Mary Edwards Pendleton; and a nephew, Vincent Robertson. Friends will be welcomed from 2-4 and 7-9 p.m., Tuesday, in the Welch Funeral Home, 1032 Fourth Ave., Ford City. Funeral service will be held at 11 a.m., Wednesday, at the Second Baptist Church, Ford City, with Rev. Kent Commodore officiating. There will be an additional visitation at the church from 10 a.m., until the time of service. Interment will be in Lawn Haven Burial Estates, with military honors accorded by the Armstrong County Honor Guard. To send a condolence, please visit www.welchfh.com.